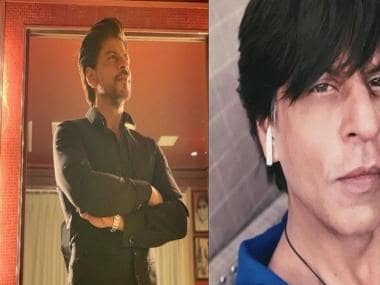 The only good that can come of turning on &TV and watching Shah Rukh Khan’s new quiz show, India Poochega Sabse Shaana Kaun, is that Khan's fans can feel unadulterated joy at seeing him on small screen or live (if they're in the audience). I, however, felt no joy while watching this show. Instead, I felt a deep sense of sorrow for myself, stuck in this private Guantanamo in which Firstpost had trapped me. A sorrow second only to the misery I felt for Siddharth Basu, who has excellent quiz shows under his belt but is the brain behind this show. One benefit of watching India Poochega Sabse Shaana Kaun is that Pan Vilas, Godfrey Philip’s pan masala brand, has now managed to introduce itself to the show’s viewers. It’s not alone. Pan Bahar also had umpteen ads throughout the programme. Nothing drives home the positives of wholesome evening television as watching Shah Rukh and Saif Ali Khan pretend the good life means chewing addictive pan masalas. Get past the images of SRK and Saif walking through what seems to be London while munching their gently addictive but extremely fragrant pan masalas, and you could concentrate on the show. India Poochega Sabse Shaana Kaun - don’t underestimate the “shaanapanti” of the common man — does have a nice ring to it. The combination of SRK’s charm and Basu’s intellect is a promising one. 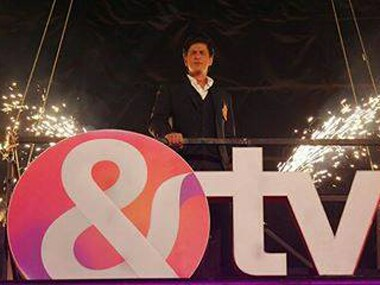 The first episode began with Shiamak Davar’s troupe shaking a leg with Khan and I must say, SRK’s energy levels are amazing. Maybe it’s because he’s now powered by Pan Vilas. The format of the show is simple. Two pairs compete against each other for a winning amount of Rs 1 crore. They will first be asked questions by ordinary people. Once they clear that round, a galaxy of celebrities will ask the winning pair a set of questions. There are the usual lifelines and so on. All this takes place in front of a live audience that seems utterly gleeful at the sight of SRK, as expected. The first couple was Tahira and Zeenat from Chandigarh, who excused their lack of general knowledge by saying they were “entertainment journalists”. The other couple were two men from Delhi whose names I didn’t catch, but who embodied everything Delhi is. One wore a bowtie and both proceeded to pass one-liners and flirt with the Chandigarh lasses (who seemed quite pleased with the attention). When the Chandigarh lasses asked the Delhi boys to be “sweet” to them by choosing an easy person to ask them a question, the bow-tied one responded by saying they’d be sweet to them after the show. This was received with giggles and much batting of eyelids by the Chandigarh girls. I threw up a little bit in my mouth at their banter, but what do I know? I’m Bengali. The first round, called The Boli Round, had the “Indiawale Express”, which is an unending series of pictures of various people that zooms around until the contestant presses a Brake button. The Indiawale Express then stops to show four faces. The contestants choose which of the four people will ask them a question. After a point, they get to choose which of these four will ask their opposing team a question. Each question had two options for answers and the team being questioned had to choose the correct answer. Just when your head was reeling from watching these walking-talking lobotomy patients, the Pan Vilas ad with SRK showed up, again. Followed by the Pan Bahar ad with Saif. I have to take a moment to give a slow clap to Godfrey Philips, which, while giving us lung cancer through Marlboro, is also spreading joy with pan masala. What would have held my attention would have been if there had been a question on whether pan masalas are harmful and addictive. Now that would have been a truly shaana thing to do. 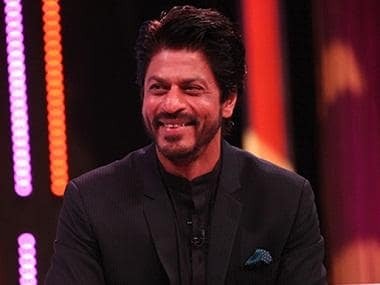 The second episode of India Poochega Sabse Shaana Kaun opened with SRK in the same clothes but with the teams having undergone a costume change (new bowtie, new togs). The Chandigarh kudis got knocked out within five minutes, but won Rs 50,000. When the Delhi boys had to pick their celebrity questioners, they had to choose from the following: food show anchors Rocky and Mayur, Chunky Pandey (who needs no introduction), musician Ankit Tewari, and TV actors Sanaa Khan and Karan Patel. They chose Ankit Tewari, who asked them who was the lyricist of “Khaayke Paan Benaraswala”. The Delhi boys got the wrong answer and in unison, they and I gave up on the show. There are various elements askew in this show that other quiz shows anchored by celebrities have going for them. Kaun Banega Crorepati has excellent questions and whether you’re an Amitabh Bachchan fan or not, the questions are difficult enough to hold your interest. Dus Ka Dum was fun because of Salman Khan’s easy charm and the format. Even Kya Aap Paanchvi Pass Se Tez Hai was enjoyable because of the kids in the programme and the questions. The only thing going for India Poochega Sabse Shaana Kaun is Shah Rukh Khan. The questions are unintelligent and the contestants seem to be playing to stereotype. Either that or they are all just weird. The second set of contestants had two women dressed like they’d stepped out of a saas-bahu show. Towards the end, even Khan seemed to look surprised by their lack of smarts. There are no grey cells or shaanapanti on display here, and definitely no entertainment. That’s acutely disappointing. After all, where else you can get to see Chunky Pandey ask a question on a quiz show that’s hosted by Shah Rukh Khan? That should have been wildly entertaining, but clearly the makers of this show just weren’t shaana enough. You can watch India Poochega Sabse Shaana Kaun on &TV from Monday to Friday at 9pm.